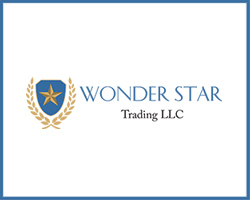 Won­der Star Trad­ing LLC, a pop­u­lar com­mod­i­ty trad­ing com­pa­ny based in Dubai, UAE, came into exis­tence in the year 2001. Since its incep­tion, the com­pa­ny has been deliv­er­ing excel­lence in the field of min­ing, met­al trade, petro­chem­i­cals and more. We believe in trans­paren­cy and strength­ened by our company’s val­ues like team­work, ded­i­ca­tion and account­abil­i­ty. We have carved a niche for our com­pa­ny as one of the most diver­si­fied and dynam­ic com­mod­i­ty trad­er in this region. Ded­i­cat­ed to deliv­er­ing best in class prod­ucts ser­vices, we have painstak­ing­ly built a unique niche for our­selves in the inter­na­tion­al mar­ket as one of the com­pet­i­tive com­mod­i­ty traders. We have estab­lished a fast-grow­ing net­work of like mind­ed and sim­i­lar focussed com­mod­i­ty traders across the globe. From small, mid to very large-sized enter­pris­es, we serve a large clien­tele inter­na­tion­al­ly, estab­lish­ing our pres­ence in var­i­ous coun­tries like Ger­many, Thai­land, Indone­sia, Zam­bia, Kenya, Sau­di Ara­bia, India, Sri Lan­ka etc. We are in the busi­ness of Petro­chem­i­cal Trade since 2008 and have cre­at­ed a rep­u­ta­tion for us for our clear and trans­par­ent deal­ings and a strict com­pli­ance to qual­i­ty pol­i­cy even at any cost. We trade in all types of petro­le­um-based prod­ucts such as all kinds of LIGHT, MEDI­UM AND HEAVY Petro­le­um Dis­til­lates like MOGAS, GASOIL, NAPTHA and KEROSENE. With exper­tise in min­ing of a vari­ety of min­er­als, we major­ly mine COAL. We have been sup­ply­ing high­ly com­pet­i­tive steam coal, with high reac­tiv­i­ty and excel­lent com­bus­tion char­ac­ter­is­tics. We have devel­oped strong cus­tomer rela­tions and are proud of the fact ‚that although our cus­tomer base has increased with time, but we still gen­er­ate max­i­mum busi­ness with our old clients, who have giv­en us recur­ring and con­tin­u­ous busi­ness. We can sup­ply var­i­ous grades of Non Cok­ing (Steam) coal of mid­dle range calorif­ic val­ue which is pri­mar­i­ly used in pow­er plants and steel indus­tries. We have strong capa­bil­i­ties to sup­ply min­er­als like Coal, Gyp­sum, Lime­stone, Chromite used in var­i­ous Indus­tries like Steel and Cement Indus­tries. For more details please write to us. We as a promi­nent met­al com­mod­i­ty trad­er in GCC region has part­nered with the world’s best com­pa­nies for our Fer­rous and Non-fer­rous trade like Thyssen Alfa and Scholz, Europe, Nat fer­rous and Cargill, Sin­ga­pore, G Steel, Thai­land, CHAL­CO, Hong Kong, CHI­NAL­CO, Chi­na, ISPAT and Jin­dal Steels, India.